Scientists, and some hunters in northern communities, say they've seen these items — and more — in the stomachs of harvested polar bears — and it could be affecting bears' behaviour. That's bad news for the majestic mammals and for the people who live near them. Researchers have also observed that the plastic contents found in bears' stomachs, in some instances, appeared to correlate with aggressive behaviour. At the Alaska Marine Science Symposium this January, scientists from the state's North Slope region reported that stomach content analysis of 51 harvested polar bears from 1996 to 2018 showed over a quarter of the bears had eaten some kind of plastic. The scientists wrote that two bears with a "significant amount of plastics in their stomachs" became aggressive and irritable before they were killed and "did not respond to polar bear deterrent measures." Previously, hunters were not asked to sample a bear's stomach. But in an email, a spokesperson for the department wrote that "moving forward, ENR [Environment and Natural Resources] intends to ask hunters to either open the stomach and take photos of the contents, or bring the stomachs back for analysis if possible." For Robert Rockwell, another biologist who studies polar bears, the numbers confirm what he's previously seen: polar bears are shifting diets as a result of climate change. "We've all known with climate change, the bears are coming ashore earlier, they're spending more time onshore, and they're becoming habituated," said Rockwell, a research associate with the American Museum of Natural History. "When they get into a town or into a village, they're going to find whatever they can find — and that's human garbage." Rockwell said he has found Styrofoam and plastic in the "poop we've collected as part of our work." "If they get a lot of that inside them … it could bind them up and we might run into some problems there," he said. 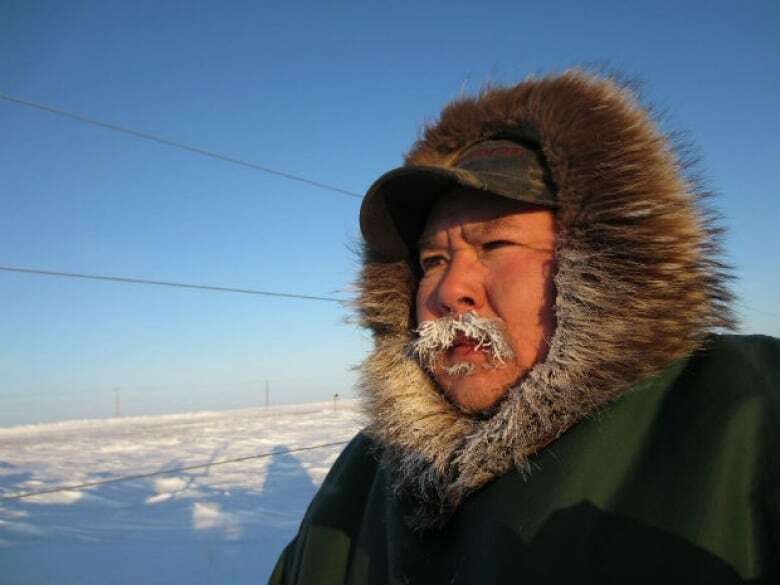 David Kuptana of Ulukhaktok, N.W.T., said he remembers shooting his first "pizzly" — a polar-grizzly bear hybrid that was sniffing around town — in 2010, and seeing candy wrappers and aluminum foil inside the bear's stomach. But, he says, "That's not normal." But in Arviat, Nunavut, where a man was killed by a polar bear near the community in 2018, it's a different story. "It's kind of challenging and scary," he said. "You've got to be really prepared and be really cautious." The dump and sewage lagoon on the outskirts of town have been virtually ceded to the animals. The bears "made their own entrance" by ripping a hole in the fence to get in, he said. Rockwell says that matches up with what he's heard in his work, too. 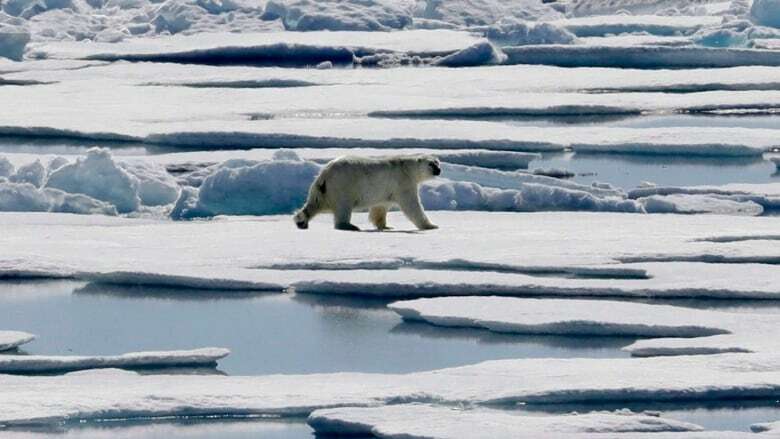 He suspects that polar bears may be more likely to eat trash in relatively larger communities like Arviat or Churchill, Man., as they have more active dumps — with more "garbage and plastic bags in villages that don't secure that stuff." Ikhakik thinks his hamlet should consider putting the garbage in a shipping container so that bears can't get to it. Arviat is also working on fixing the fence around the lagoon and getting an incinerator for the garbage, Ikhakik said. "I don't know if that's coming — probably in the future," he said. "I think it's time to make a change."